Codependency is an addiction that is not as obvious as gambling, alcoholism and substance abuse. Similar to working, caretaking seems positive until it gets compulsive and out of hand. Even though codependency is a problem that affects many people, one might struggle with codependency their whole life and never know about it. That’s because denial is a natural self-protection strategy that codependents adopt. Codependents might not be aware of their own behavior and control patterns. Furthermore, codependency is not limited to relationships that involve living with someone who has an addiction. If you are in a relationship with a narcissist or someone with borderline personality, you might show signs of codependency too. Even in friendship and work relationship, one might be a codependent too. To break the cycle of codependency, below are 10 books that can help you recover and heal. Pick one that speaks to you. If you are new to the concept of codependency, this self-help book is for you. Published in 1986, this bestselling, classic is the book that introduces the term “codependency” to the world. It includes a lot of life stories and case studies to help you understand what it is like to be a codependent. After reading this book, you might be surprised that you have displayed many of the codependency behaviors shared in this book. For example, you might not be aware that codependency causes you to be obsessed with controlling another person’s behavior. This book is suitable for people-pleasers or anyone who put others before themselves. The author suggests many ways to take care of yourself. Codependents have a problem with boundaries. They feel responsible for other people’s problems and make those problems their own. This book not only help you to set boundaries, but it also teaches you how to accept other people’s boundaries. It also tackles eight common myths that prevent us from setting healthy boundaries with others. Even though this book is based on bible and Christianity, you will still receive a great deal of useful information and value from reading this book. If you are someone who have a problem with saying no to others, this is the book for you. Co-Dependents Anonymous (CoDA) is a community of men and women whose common purpose is to develop healthy relationships. Based on the Twelve Steps Program, the meetings have helped and supported many codependents all over the world recover from their addiction. If your relationship is in a mess or you have a compulsive need to change the other person, this book is for you. Inside this book, you will find questions and insights that help you reflect and understand the feelings that you have repressed. This is a large book with 597 pages but it’s valuable because there are many stories you can learn from. It is suitable for any codependent who needs guidance and help for their recovery. Sometimes, it’s hard to tell if you are a codependent or not because codependency can vary according to severity. In this book, the author breaks down the three stages of codependency and recovery in a clear and straightforward manner. So that you know exactly what stage you are at and what you need to work on. This well-research book covers everything you need to know about codependency, from symptoms of codependency to healing your childhood wounds, from letting go to becoming assertive. If you need a good introduction and overview to heal codependency, this is the book for you. It will help you to face your codependency issues and be free of your unhealthy behaviors and habits. If you are obsessed with a man, especially a man who is damaged and distant, this is the book for you. Written for women, this book is suitable for codependents who find themselves loving men that don’t love back, giving too much yet still feel unloved. This book will help you to figure out why you do what you do in a love relationship. It also helps you realize that your yearning for love has become an addiction and how to free yourself from a destructive relationship. This book is about having the courage to face your codependence problem and be free from it. If you don’t embrace your dysfunctional behaviors, you’ll always be living in denial and delusions. Then, your codependency issues will continue to control and define you. The authors believe that dysfunctional and abusive families are the reasons why children become codependent adults. In this book, you will find five primary symptoms of codependency and the childhood abuses that cause the problem. This book is personal and based on the author’s own experience in dealing with codependency and abuse. It’s best suited for someone who loves learning through reading other people’s stories. Unlike the other self-help books on codependency, this book is an autobiographical account of the author’s codependency journey. If you are someone who learns better through reading about other people’s experiences, then this book is for you. Even though her parents and spouse didn’t drink, the author was raised by two unrecovered adult-children of alcoholics. She learned to please others and ignored her feelings from her parents. Reading this heartfelt account might trigger the childhood memories that you have blocked out. But this book helps you to heal your childhood wounds and your feelings of unworthiness. It’s suitable for readers who feel invisible, doesn’t belong, or disconnected. Knowing is not enough, you have to remember what you know and apply it to your daily life. This book is a daily meditation guide that reminds you to set healthy boundaries, take responsibilities of your own self-care, and etc. 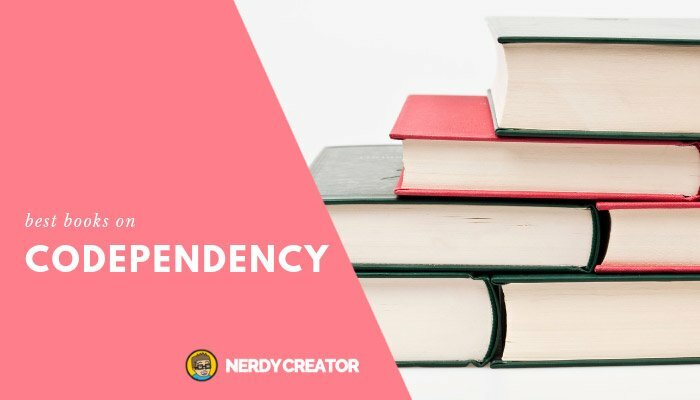 Reading and applying the concept daily will help you overcome your codependency habits. As someone struggling with codependency, you might find it tough to let go of control and allow others to make their own choices. This book not only provides you with the information that helps you deal with these codependency issues, but the author also ask a lot of questions to help you reflect on your life and what you need. If you want a daily companion that supports your codependency recovery, this is the book for you. Shame and codependency feed off one another. When we feel ashamed of ourselves, we deny our own needs and feelings while trying to please others so that they would like us and love us. In this book, the author explains how shame can affect your relationship and behaviors as a codependent. She then ends off with eight steps to help you heal shame and love yourself. Shame is one of the primary causes of codependency and addiction. If you are someone who has low self-esteem and avoids the shame you are feeling, this book is for you. This book is about being in touch with your abandoned, wounded inner child. Many times, codependents focus heavily on other people and become out of touch with themselves. They are unaware of the deep, painful feelings and discomfort that are residing within them since childhood. In this book, you will learn how to connect and heal these feelings, and understand how neglecting these feelings lead to codependency and other problems such as addiction and low self-worth. Codependency is a learned behavior and most of us learned it from our parents or through caretaking our parents. This book doesn’t necessarily tackle codependency in-depth. But it helps you to understand your hidden feelings and uncover the protective mechanisms you have in place to cope with your adverse childhood experiences. Some of them might be outdated and need to be removed for your healing to take place.